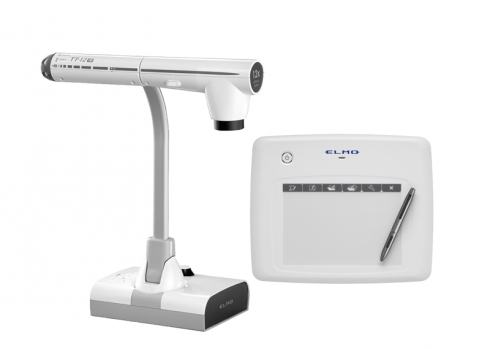 The Classroom VISION is bundle system of the TT-12iD interactive document camera and CRA-1 wireless tablet for a great deal. In addition to the superb image quality and easy-to-use functions, the new TT-12iD is now equipped with a HDMI input. 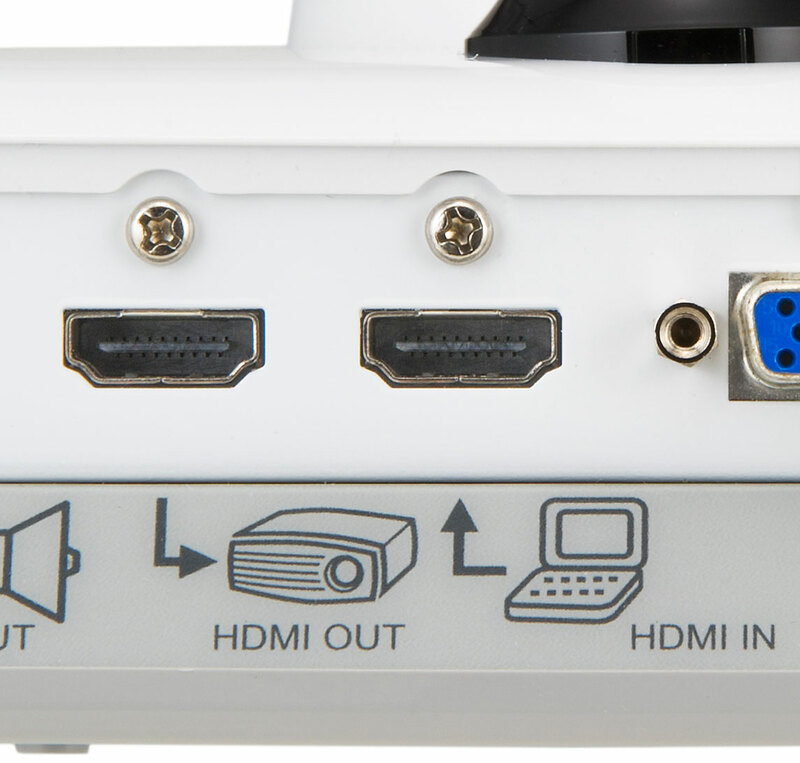 With the independent built-in switchers, the external image input to the HDMI input is output from the HDMI output and the external image input to the Analog RGB input is output from the Analog RGB output. When the TT-12iD's high magnification 12x optical zoom is combined with its 8x digital zoom, images can be enlarged up to 96 times for a clear distortion-free display of even the tiniest details. The TT-12iD's megapixel image sensor captures everything from fine text to three-dimensional objects in 1080p full HD. From above, from the side, up close - explore any angle! The adjustable camera head and arm can be freely raised, lowered, and rotated to focus attention precisely where it's needed. 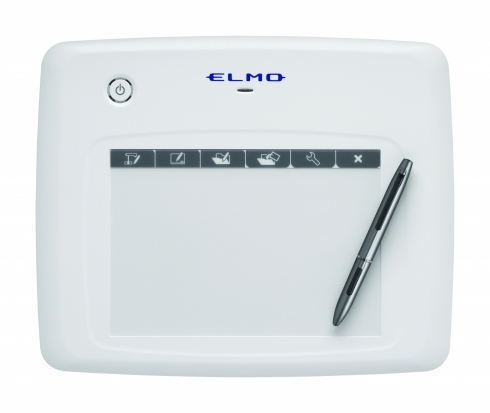 A simple turn of the zoom dial is all that is needed to zoom in and out and make fine zoom adjustments. 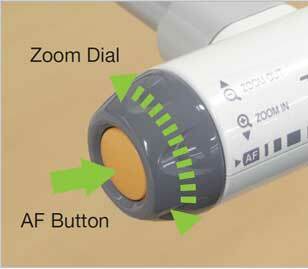 For added ease of use, the AF (Auto Focus) button enables easy one-touch auto focusing. With the TT-12iD, audio enhancement can be added to classroom presentations via the built-in microphone or an external microphone input (Mic In/Line In). Audio output can be routed to the external HDMI or Audio Line Out port. 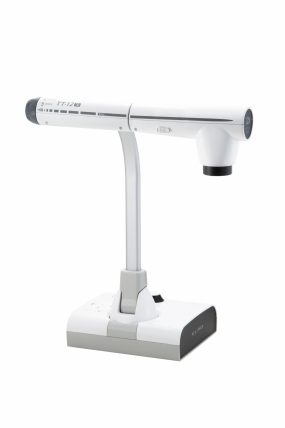 The TT-12iD's ergonomically designed wireless remote control brings convenient functions to classroom presentations, including the capability to highlight or mask selected parts of an image. 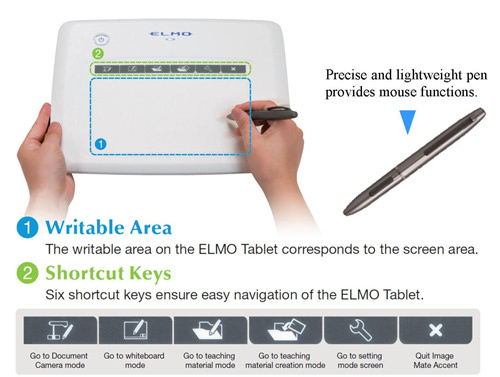 With the Split Screen function, a still image and a live image can be displayed simultaneously, while the Picture-in-Picture function allows a quarter-size still image to be shown along with a live image. Both still images (jpg) and audio video files (mp4) can be saved on a USB flash drive or SD Memory Card for future use. Files may also be saved to a PC or Mac using Image Mate Software (included). 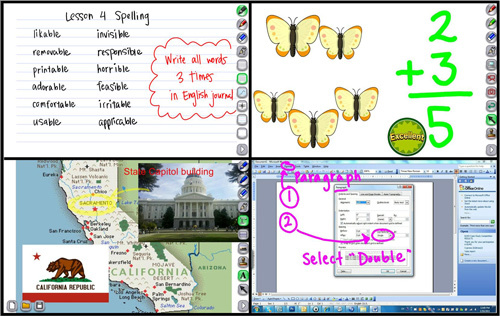 Video with audio, time-lapse photography, and still images saved on a computer can all be used for review with the whole class as well as for absent students. The TT-12iD captures and reproduces moving images at 30 fps (frames per second) for the display of truly smooth, natural looking motion.